It was a super awesome lady from our ward who had just won 2 extra tickets from the Wicked Lottery for that night's 8:00 show!.... 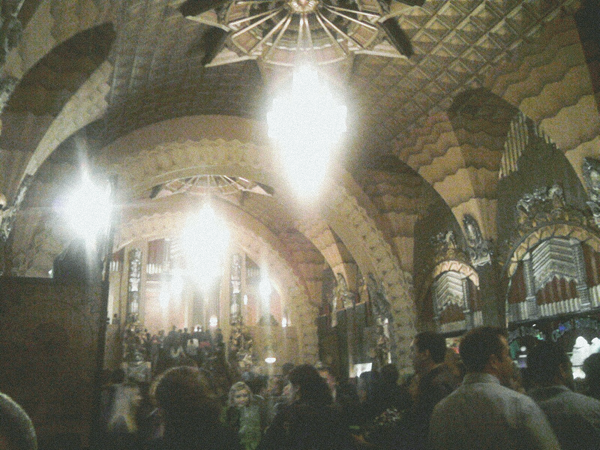 In LA.... At the Pantages Theater! She asked if we wanted to take them.... we thought about it for about a millisecond and said "YESSSSSS!!!" (with some additional squealing from both me and Jason). 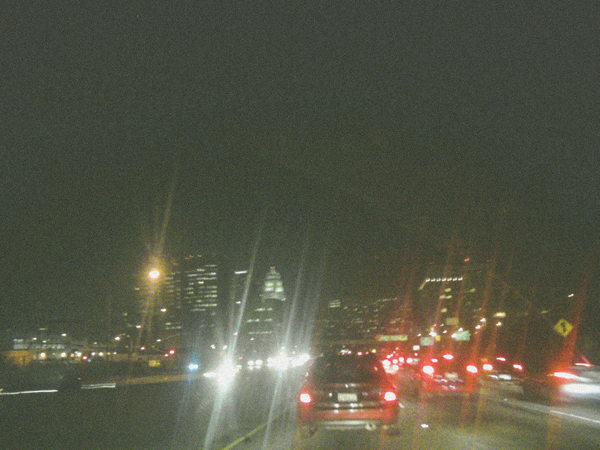 Jas drove like a champ through the Friday night traffic into LA and we made it to the theater just in time. I was so proud. Lisa (our newest bestest friend in the whole wide world) gave us our tickets, a pair of binoculars and spoiled us with a beautiful Wicked book, Sprites and M&Ms for the show. The theater itself made my jaw drop and I had to remind myself to close my mouth. Art Deco at its very finest—sort of made us feel like we should have maybe worn a tux and floor-length gown (the gown would be for me of course). I cried twice during the performance and got a little choked up once on the way home. Not in the "oh how sad" sort of way, but in the "Oh my gaaaash this is so amazing! I can't believe I'm here!!!!" sort of way. Best spontaneous date night of my life. Go to a Jack Johnson concert. Take a million photos in Greece. Go to a professional production of Wicked. CHECK! *ok, so that's not my actual bucketlist. I never really want to fly to the moon, I hear the commute is terribly long—but last night (& my pal Caley) has inspired me to officially write up a hard copy. so amazing! you guys deserve such a great night like that!! 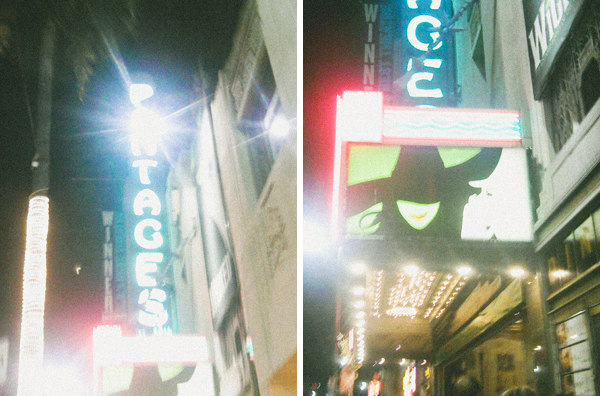 I'm glad you got to see Wicked...it's definitely on my list. Maybe someone will give me free tickets...I'll just keep hoping. Do you seriously want to fly to the moon? Because I totally do...for real. I would do it in a second if I were a billionaire...even with the potential blowing up into a million pieces thing. It would just be such a cool experience...that is if you didn't get blown up into a million pieces. Now that is a great date night. That sure makes Dad's 60th birthday party we had (me and him) seem lame now. But, I loved reading about it with the way you say things and especially the pictures. That place is ONE cool place. We've been to the old Fox Theatre in Chicago and Atlanta and I don't remember anything that cool. But, then again, we were there to see Willie Nelson in Chicago and I think I hate Willie Nelson. He was one weird dude. 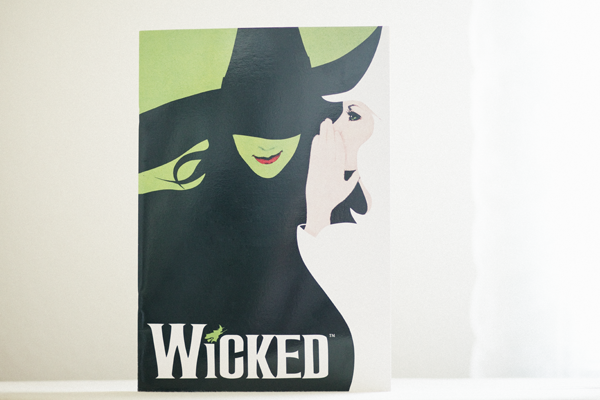 someday I hope to go to Wicked!! You better be nice to that awesome friend. :). glad you had such a wonderful night.